Horner syndrome refers to the constellation of signs resulting from the interruption of sympathetic innervation to the eye and ocular adnexa. There is blepharoptosis, pupillary miosis, and facial anhidrosis. Etiologies of sympathectomy range from simple migraine to life-threatening conditions, such as carotid dissection and malignancy. Horner syndrome can be seen following several regional anaesthetic techniques, including brachial plexus block and epidural anaesthesia. Lumbar or low-thoracic epidural anesthesia is widely used during obstetrics and general surgery. Although generally regarded as a safe procedure, epidural anesthesia can cause neurologic and ophthalmologic complications. As a recognized complication of epidural anesthesia, Horner syndrome has mainly been described in obstetrical patients. It is rare and unpredictable, and its course is usually benign and transient. Although typically a benign side effect that resolves spontaneously, Horner syndrome is likely to cause anxiety in patients, surgeons, and anesthesiologists, and it may prompt emergent and costly investigations. We report a case of Horner syndrome in a woman with Ehlers-Danlos syndrome (EDS) undergoing bowel and urogenital surgery under general anesthesia supplemented with lumbar epidural anesthesia. bipolar mood disorder. She also had a history of EDS. This was Type III with symptoms of joint and spine hypermobility, joint dislocations, chronic joint pain, soft and smooth skin, megacolon, and delayed gastric emptying. Previously, she underwent a partial colectomy, a repair of pelvic floor laxity, and another subtotal colectomy with ileorectal anastomosis. 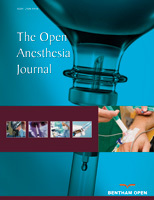 During previous anesthetic techniques, epidural anaesthesia was not administered. General anesthesia was supplemented by regional via a pre-operatively placed lumbar epidural catheter (L4-L5). The catheter was placed via a 17G Touhy needle in a midline approach, guided by loss of resistance to saline while the patient was in the sitting position. The placement was uneventful, and there was no leak of cerebrospinal fluid (CSF). The epidural catheter was fixed at around 5 minutes. There was an unremarkable test dose of 3 mL of 2% lidocaine with epinephrine. This was followed by an infusion of a mixture of 0.1% bupivacaine and 10 mcg/mL hydromorphone at 8 mL/h. There were occasional boluses of 2 mL of the bupivacaine/hydromorphone mixture at intervals of at least 20 min. A total of 32 mL local anesthetic solution was given over about 2 hours. Surgery was performed in the lithotomy position. A laparoscopic colectomy with ileorectal anastomosis was affected uneventfully. Postoperatively, the patient was extubated and transferred to the postoperative anesthesia care unit (PACU), where she was afebrile and hemodynamically stable. Because of gastrointestinal effects of the EDS, she had feelings of constipation and responded with frequent straining in the manner of Valsalva maneuvers. Anisocoria was noted in the PACU. Upon evaluation, the patient had miosis and ptosis of the right eye with no other neurological signs or symptoms. The Horner syndrome resolved within 24 h with no sequelae. The patient did not manifest any other symptoms or signs. Horner syndrome is a rare sequel of epidural anesthesia [1Al-Mustafa MM, Massad IM, Al-Ghanem SM, Badran IZ. Horners syndrome after lumbar epidural analgesia during labor. Middle East J Anaesthesiol 2010; 20(5): 727-9. [PMID: 20803864] , 2Chandrasekhar S, Peterfreund RA. Horners syndrome following very low concentration bupivacaine infusion for labor epidural analgesia. J Clin Anesth 2003; 15(3): 217-9. [http://dx.doi.org/10.1016/S0952-8180(03)00017-5] [PMID: 12770660] ]. It is intriguing to consider whether EDS might have facilitated the phenomenon in our patient. The various types of EDS involve defects in the integrity of connective tissue and could plausibly permit increased spread of local anesthetic fluid. The increased spread might be akin to that deliberately produced by addition of the connective tissue-degrading enzyme hyaluronidase to local anesthetic solutions [3Phalen GS. Use of hyaluronidase in digital block anesthesia. Clin Orthop Relat Res 1974; (103): 93. [http://dx.doi.org/10.1097/00003086-197409000-00052] [PMID: 4416821] ]. Increased local spreading with hyaluronidase has been shown in many sites, including the epidural space [4DeRossi R, de Barros AL, Silva-Neto AB, Pompermeyer CT, Frazílio FO. Hyaluronidase shortens levobupivacaine lumbosacral epidural anaesthesia in dogs. J Small Anim Pract 2011; 52(4): 195-9. [http://dx.doi.org/10.1111/j.1748-5827.2011.01048.x] [PMID: 21906061] -8Scott DB. Hyaluronidase in epidural analgesia. Br J Anaesth 1956; 28(4): 187-93. [http://dx.doi.org/10.1093/bja/28.4.187] [PMID: 13315865] ]. Of note, hyaluronidase has been particularly popular in ophthalmic blocks [9Palte HD. Ophthalmic regional blocks: management, challenges, and solutions. Local Reg Anesth 2015; 8: 57-70. [http://dx.doi.org/10.2147/LRA.S64806] [PMID: 26316814] ]. Most cases of Horner syndrome following epidural anesthesia have been reported in obstetric cases [10Rodríguez J, Bárcena M, Taboada-Muñiz M, Alvarez J. Horner syndrome after unintended subdural block. A report of 2 cases. J Clin Anesth 2005; 17(6): 473-7. [http://dx.doi.org/10.1016/j.jclinane.2004.09.010] [PMID: 16171670] ]. Perhaps epidural connective tissue changes in EDS may mimic those of pregnancy. The possibility that EDS might predispose to post-epidural Horner syndrome is important because Horner syndrome could herald dangerous vascular complications of EDS, such as arterial aneurysm [11Gui X, Li F, Wu L, Zheng Y. Systemic multiple aneurysms caused by vascular ehlers-danlos syndrome. Vasc Endovascular Surg 2016; 50(5): 354-8. [http://dx.doi.org/10.1177/1538574416647501] [PMID: 27206743] -14Levent E, Posacioğlu H. A rare cause of Horners syndrome: subclavian artery aneurysm. Respiration 2001; 68(6): 620. [http://dx.doi.org/10.1159/000050583] [PMID: 11786719] ]. Another EDS-related factor that may have contributed to this patient’s Horner syndrome is the postoperative straining. Horner syndrome was first described by Johann Friedrich Horner in 1869 [15Abbas A, Manjila S, Singh M, Belle V, Chandar K, Miller JP. Johann Friedrich Horner and the Repeated Discovery of Oculosympathoparesis: Whose Syndrome Is It? Neurosurgery 2015; 77(3): 486-91. [http://dx.doi.org/10.1227/NEU.0000000000000832] [PMID: 26280826] ]. Manifestations include facial anhidrosis, pupillary miosis, and ipsilateral blepharoptosis. A Horner syndrome could result from a pathological change anywhere along the sympathetic pathway which originates from hypothalamus and supplies the neck, eye and head (Table 1). Causes of Horner syndrome can range from serious to benign and require a methodical approach to diagnostic evaluations. They are based on the location of the pathological changes, and could divide Horner syndrome into 3 subtypes: first-order syndrome (central Horner syndrome), second-order syndrome (preganglionic Horner syndrome) and third-order syndrome (postganglionic Horner syndrome) (Table 2) [16Walton KA, Buono LM. Horner syndrome. Curr Opin Ophthalmol 2003; 14(6): 357-63. Epidural anesthesia can lead to a Horner syndrome due to pharmacologic disruption of the preganglionic neuron as it exits the spinal cord [17Barbara R, Tome R, Barua A, et al. Transient Horner syndrome following epidural anesthesia for labor: case report and review of the literature. Obstet Gynecol Surv 2011; 66(2): 114-9. [http://dx.doi.org/10.1097/OGX.0b013e31821d6e5c] [PMID: 21592418] , 18Park SY, Chun HR, Kim MG, et al. Transient Horners syndrome following thoracic epidural anesthesia for mastectomy: a prospective observational study. Can J Anaesth 2015; 62(3): 252-7. [http://dx.doi.org/10.1007/s12630-014-0284-9] [PMID: 25560203] ]. Post-epidural Horner syndrome is most often reported in obstetrical procedures. A variety of mechanisms have been put forward to explain the occurrence and development of Horner syndrome in epidural anesthesia. Sympathetic pre-ganglionic nerves originate from anterior horn cells from C8 to T1 [19Jadon A. Horners syndrome and weakness of upper limb after epidural anaesthesia for caesarean section. Indian J Anaesth 2014; 58(4): 464-6. [http://dx.doi.org/10.4103/0019-5049.139012] [PMID: 25197119] ]. The small fibers are particularly sensitive to anesthetics, thus being easy to be blocked by a large volume of local anesthetics during epidural anesthesia. In obstetrics, Horner syndrome may involve increased epidural pressure and higher cephalad spreading of local anesthetics caused by straining and by uterine contractions [19Jadon A. Horners syndrome and weakness of upper limb after epidural anaesthesia for caesarean section. Indian J Anaesth 2014; 58(4): 464-6. [http://dx.doi.org/10.4103/0019-5049.139012] [PMID: 25197119] ]. High progesterone levels of pregnancy can increase the sensitivity of nerve fibers. Our patient experienced feelings of constipation in the postoperative anesthesia care unit and was performing frequent Valsalva-like straining maneuvers. Another cause of high sympathetic block is an accidental subdural placement of an epidural catheter. Total spinal block may be caused by exaggerated cephalad spreading within the CSF. The likelihood of a subdural misplacement of an epidural catheter may be increased in EDS. EDS refers to a group of uncommon genetic disorders of connective tissue which are characterized by one or several features, including tissue fragility, joint hypermobility, and skin hyper-extensibility [20Grahame R. Ehlers-Danlos syndrome. S Afr Med J 2016; 106(6)(Suppl. 1): S45-6. [http://dx.doi.org/10.7196/SAMJ.2016.v106i6.10991] [PMID: 27245524] ]. In most types of EDS, the underlying pathophysiology involves inherited alterations in genes affecting the synthesis and processing of different forms of collagen, which are important in the structure of many tissues and organs, including the skin, tendons, ligaments, vasculature, skeleton, and eyes [20Grahame R. Ehlers-Danlos syndrome. S Afr Med J 2016; 106(6)(Suppl. 1): S45-6. [http://dx.doi.org/10.7196/SAMJ.2016.v106i6.10991] [PMID: 27245524] ]. The spinal ligaments provide a natural brace to help protect the spine from injury. The ligamentum flavum, as the strongest, runs from the base of the skull to the pelvis, in front of and between the lamina, and protects the spinal cord and nerves. It is composed of elastin and collagen fibers in a 2:1 ratio [21Park JB, Kong CG, Suhl KH, Chang ED, Riew KD. The increased expression of matrix metalloproteinases associated with elastin degradation and fibrosis of the ligamentum flavum in patients with lumbar spinal stenosis. Clin Orthop Surg 2009; 1(2): 81-9. [http://dx.doi.org/10.4055/cios.2009.1.2.81] [PMID: 19885059] ]. The elastin fibers provide elasticity to the ligament, while the collagen fibers provide stiffness and stability. In EDS, the structure and proportion of collagen are significantly changed, resulting in fragility and weakness of the spinal ligaments. This may increase mobility of an epidural catheter. Of note, the sense of constipation that troubled our patient in the PACU was probably a sequel of the chronic EDS. Gastrointestinal involvement is a well-known complication of EDS. Problems include structural anomalies (such as intestinal intussusception, internal pelvic/organ prolapse, and diaphragmatic/abdominal hernia) and functional features (such as constipation/diarrhea, recurrent abdominal pain, dyspepsia, gastro-esophageal reflux, and dysphagia) [22Nelson AD, Mouchli MA, Valentin N, et al. Ehlers Danlos syndrome and gastrointestinal manifestations: a 20-year experience at Mayo Clinic. Neurogastroenterology and motility the official journal of the European Gastrointestinal Motility Society 2015; 27(11): 1657-66.]. Curiously, patients with EDS may have reduced response to local anesthetic agents. The reason is unknown but does not appear to be caused by abnormally rapid dispersal through the lax connective tissues [23Wiesmann T, Castori M, Malfait F, Wulf H. Recommendations for anesthesia and perioperative management in patients with Ehlers-Danlos syndrome(s). Orphanet J Rare Dis 2014; 9: 109. Neuroanatomical features of Horner syndrome-related three-neuron sympathetic pathway. Etiologies and features of different types of Horner syndrome. Valsalva-like straining maneuvers may have contributed to Horner syndrome in our patient. These were prompted as a complication of the EDS. Weakness of the dura and/or ligamentum flavum might predispose to subdural migration of epidural catheters in patients with EDS. With this case, we emphasize that EDS may increase the likelihood of a Horner syndrome following epidural anesthesia. Written, informed consent was obtained from the patient for publication of this case. Al-Mustafa MM, Massad IM, Al-Ghanem SM, Badran IZ. Horners syndrome after lumbar epidural analgesia during labor. Middle East J Anaesthesiol 2010; 20(5): 727-9. Chandrasekhar S, Peterfreund RA. Horners syndrome following very low concentration bupivacaine infusion for labor epidural analgesia. J Clin Anesth 2003; 15(3): 217-9. Phalen GS. Use of hyaluronidase in digital block anesthesia. Clin Orthop Relat Res 1974; (103): 93. DeRossi R, de Barros AL, Silva-Neto AB, Pompermeyer CT, Frazílio FO. Hyaluronidase shortens levobupivacaine lumbosacral epidural anaesthesia in dogs. J Small Anim Pract 2011; 52(4): 195-9. Yousef AA, EL-Deen AS, Al-Deeb AE. The role of adding hyaluronidase to fluoroscopically guided caudal steroid and hypertonic saline injection in patients with failed back surgery syndrome: a prospective, double-blinded, randomized study. Pain Pract 2010; 10(6): 548-53. Heavner JE, Racz GB, Raj P. Percutaneous epidural neuroplasty: prospective evaluation of 0.9% NaCl versus 10% NaCl with or without hyaluronidase. Reg Anesth Pain Med 1999; 24(3): 202-7. Bromage PR, Burfoot MF. Quality of epidural blockade. II. Influence of physico-chemical factors; hyaluronidase and potassium. Br J Anaesth 1966; 38(11): 857-65. Scott DB. Hyaluronidase in epidural analgesia. Br J Anaesth 1956; 28(4): 187-93. Palte HD. Ophthalmic regional blocks: management, challenges, and solutions. Local Reg Anesth 2015; 8: 57-70. Rodríguez J, Bárcena M, Taboada-Muñiz M, Alvarez J. Horner syndrome after unintended subdural block. A report of 2 cases. J Clin Anesth 2005; 17(6): 473-7. Gui X, Li F, Wu L, Zheng Y. Systemic multiple aneurysms caused by vascular ehlers-danlos syndrome. Vasc Endovascular Surg 2016; 50(5): 354-8. Cullom RD Jr, Cullom ME, Kardon R, Digre K. Two neuro-ophthalmic episodes separated in time and space. Surv Ophthalmol 1995; 40(3): 217-24. Whiteley WN, Sandercock PA. An unusual vascular cause of Horners syndrome. Cerebrovasc Dis 2005; 19(5): 351-2. Levent E, Posacioğlu H. A rare cause of Horners syndrome: subclavian artery aneurysm. Respiration 2001; 68(6): 620. Abbas A, Manjila S, Singh M, Belle V, Chandar K, Miller JP. Johann Friedrich Horner and the Repeated Discovery of Oculosympathoparesis: Whose Syndrome Is It? Neurosurgery 2015; 77(3): 486-91. Walton KA, Buono LM. Horner syndrome. Curr Opin Ophthalmol 2003; 14(6): 357-63. Barbara R, Tome R, Barua A, et al. Transient Horner syndrome following epidural anesthesia for labor: case report and review of the literature. Obstet Gynecol Surv 2011; 66(2): 114-9. Park SY, Chun HR, Kim MG, et al. Transient Horners syndrome following thoracic epidural anesthesia for mastectomy: a prospective observational study. Can J Anaesth 2015; 62(3): 252-7. Jadon A. Horners syndrome and weakness of upper limb after epidural anaesthesia for caesarean section. Indian J Anaesth 2014; 58(4): 464-6. Grahame R. Ehlers-Danlos syndrome. S Afr Med J 2016; 106(6)(Suppl. 1): S45-6. Park JB, Kong CG, Suhl KH, Chang ED, Riew KD. The increased expression of matrix metalloproteinases associated with elastin degradation and fibrosis of the ligamentum flavum in patients with lumbar spinal stenosis. Clin Orthop Surg 2009; 1(2): 81-9. Nelson AD, Mouchli MA, Valentin N, et al. Ehlers Danlos syndrome and gastrointestinal manifestations: a 20-year experience at Mayo Clinic. Neurogastroenterology and motility the official journal of the European Gastrointestinal Motility Society 2015; 27(11): 1657-66. Wiesmann T, Castori M, Malfait F, Wulf H. Recommendations for anesthesia and perioperative management in patients with Ehlers-Danlos syndrome(s). Orphanet J Rare Dis 2014; 9: 109.